Originally teased earlier in the month, Siegefall, a brand new multiplayer strategy game involving heroes, dragons and magic, is now available in the App Store for your iPhone and iPad at no charge. Brough to you by Gameloft Montreal, the team behind the wildly praised Modern Combat shooter series, Siegefall sports gorgeous graphics with stylized art while striving to bring some innovation to the genre with wild controllable heroes and immense magical cards. Players are challenged to build an army of heroes, summon dragons, conquer new lands, smash gates and leave nothing but rubble behind. 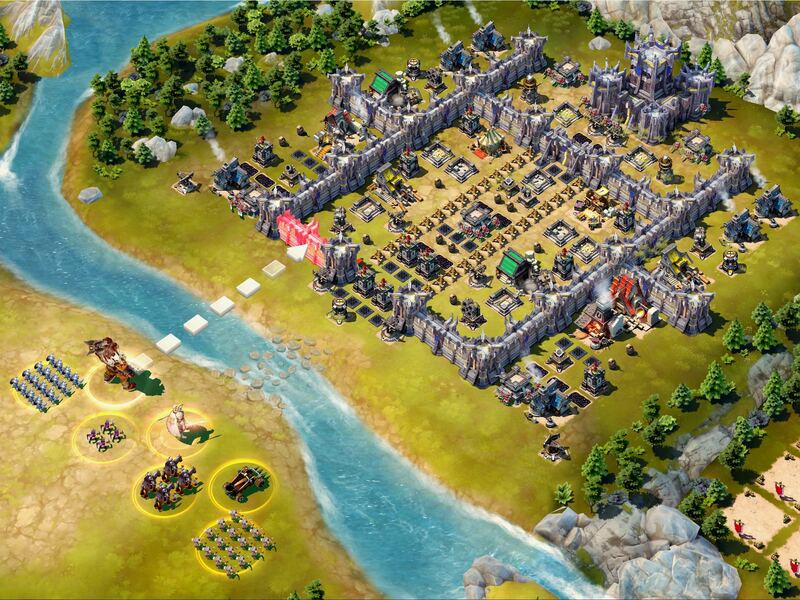 Like many other strategy games, Siegefall has you building up your stronghold to begin your reign. You’ll need to boost your army with a little help from dedicated hero units. The heroes can use powerful magical spells and upgrade their abilities using magical cards. In order to break through castle defenses and obliterate your enemies, you must employ a powerful combination of raw might and your mastery of magic. To attack other players’ strongholds, either send your army mindlessly on their way or target specific buildings, which gives you a distinct strategic advantage. Siegefall’s online multiplayer component includes a variety of challenges, with certain aspects of card-trading games thrown in for good measure. Check out the promotional launch trailer below. Because Heroes are the most powerful characters in Seigefall, you’ll need to use them wisely for a lot more strategy. A hero can aid any individual units or attack specific parts of an enemy’s stronghold. Your other units can launch attacks on specific buildings, too, and you can direct them easily by dragging with your finger. And yes, you can summon a dragon to obliterate multiple units and buildings at once. The card-trading aspect of Siegefall requires you to pay attention to the various magical cards that give you various advantages. Typically, you’ll temporarily gain special abilities from using the cards, like a fireball catapult, enemy freeze, a dragon and more. Siegafall is available for iOS, Android and Windows Phone. Like many other triple-A mobile game releases, Siegefall is a free-to-play experience supported by in-app advertising. Though it doesn’t cost a dime to download and play the game, additional virtual items can be acquired for real cash through the In-App Purchase mechanism. Deploy your army and take direct control of your Hero in battle to exploit enemy weaknesses. Master Magical Cards to enhance your strategy: Freeze enemies, launch destructive boulders, and conjure Dragons! Dozens of different cards to win and loot. Unique Heroes: Unlock rival leaders and their abilities as you progress through the solo campaign. Always choose the right hero for the job! The 458-megabyte download require an iPhone, iPod touch or iPad with iOS 7.0 or later and is optimized for the iPhone 5/5s, iPhone 6 and iPhone 6 Plus screen resolutions. 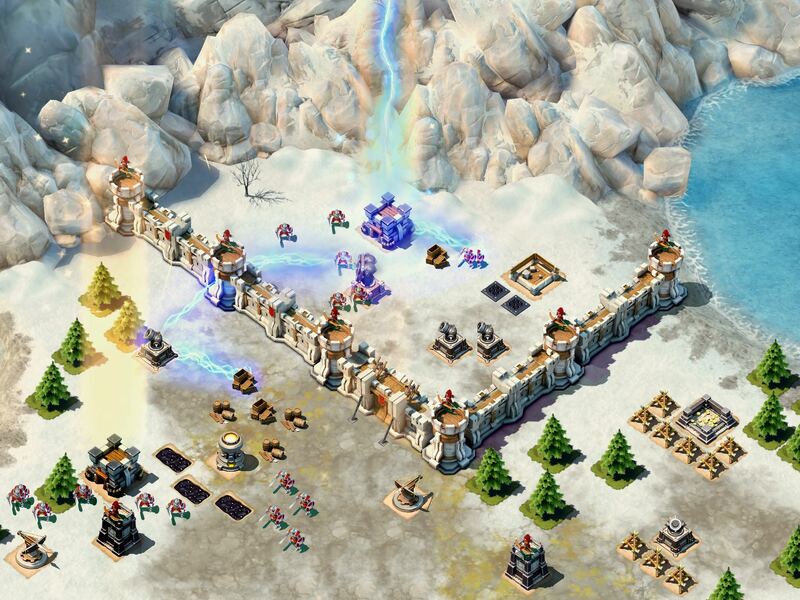 Grab Siegefall for free in the App Store.